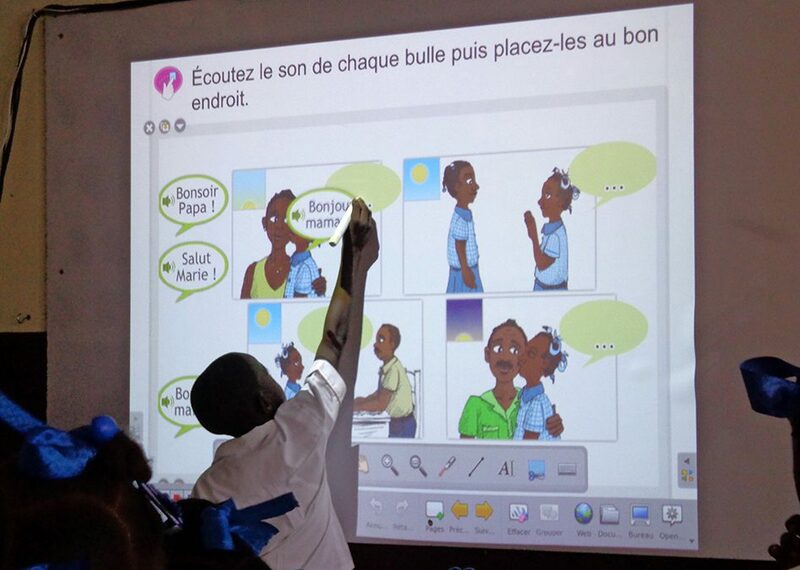 Hurricane Matthew did not spare the schools of the South and Grand’Anse equipped with the Digital SmartBoard. As soon as the most urgent interventions were completed, our teams were able to start counting the video projectors: most were subject to the wind and rain for several days because they were no longer protected by the roofs that had been almost everywhere uprooted. The video projectors were then dismantled and put under cover. After dismantling and cleaning parts, drying and reassembly … To our surprise, almost all SmartBoard restarted without problem. We could verify the strength of these equipment by noting the very limited number of failures we had encountered. Most of the time, these failures were related to the lamp of the projector which just had to change. But we did not imagine that video projectors would withstand bad weather for several days (several weeks for those located in areas more difficult to access). We had another surprise when checking on the impact of the hurricane on the Paradis des Indiens, a group of schools near les Abricots. Before the hurricane, we had deployed several solar installations, the panels fixed at the top of solid metal poles stuck in a concrete box. Located in the heart of the cyclone’s trajectory, we were wondering if the panels and poles had withstood the storms of more than 200 km? Were they damaged by projectiles of all kinds propelled into the air by the furious winds? Back at Camp-Perrin, we are aware that we must have a space where we can, if necessary, store equipment in bulk and carry out mass maintenance operations. The decision was made with Vivens – the coordinator of the technicians of the South to build a maintenance workshop which could also be a training site for the maintenance of this equipment.